Daekyo Co., Ltd. (www.daekyo.co.kr), one of Asia's largest education companies, today announced its acquisition of Knowre (www.knowre.com), an award-winning global AI-based education technology company. Executives from both companies, including Daekyo Group Chairman Young-Joong Kang and Daekyo CEO Soo-Wan Park, along with Knowre's Co-CEOs Yong Jae Kim and David Joo, met today at Daekyo Tower in Seoul, South Korea to finalize and close the transaction. Knowre, founded in 2012, is a provider of a deep-learning based AI math education technology platform that focuses on using technology to identify learning gaps and algorithmically deliver personalized curricula to students. In 2013, Daekyo and Knowre established a strategic partnership to develop "Summit Math" a digital math solution utilizing Knowre's technology and providing real-time analysis and personalized content to all of Daekyo's students throughout South Korea. Commenting on the transaction, Soo-Wan Park, CEO of Daekyo said, "By combining Daekyo's long-time education experience and know-how with Knowre's technology and product development prowess, we will lead the global education market into the digital era." "Having partnered with Daekyo since 2013, this sale is a natural extension of the already close relationship between the two companies," said David Joo, Knowre's Co-CEO. Yong Jae Kim, Knowre's other Co-CEO added, "We are thrilled to be joining Daekyo. This transaction, with Daekyo's support and expertise, will allow us to innovate faster and bring our technology and products to more students around the globe." 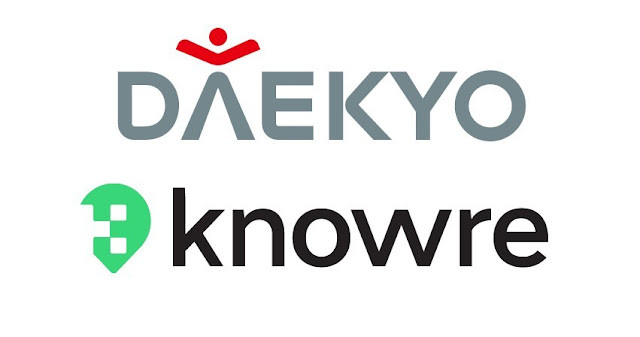 Daekyo's acquisition of Knowre strengthens its digital offerings and provides greater opportunities to incorporate innovative technologies into services for its customers. With the closing of this acquisition, Daekyo will expand its product offerings by adding more self-driven digital solutions, such as Summit Math, which currently boasts a 300% year-over-year increase in the number of students.